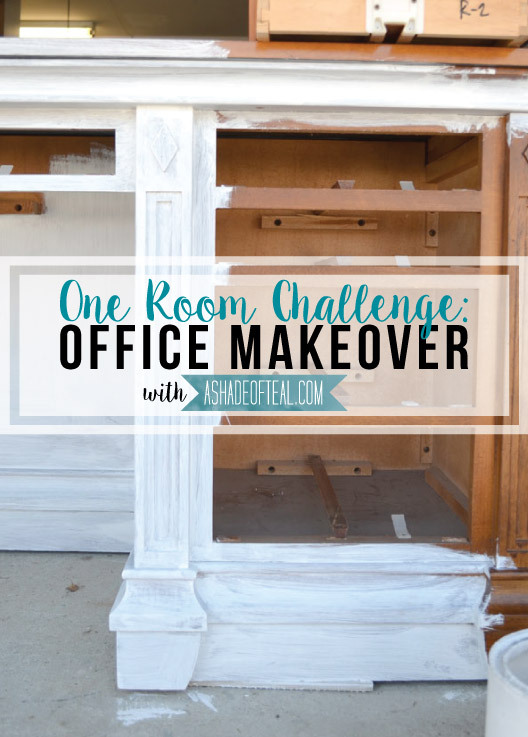 Week 4 of the One Room Challenge has definitely been the hardest yet. I realized how much I have left to do and how little time. It also doesn’t help that I got sick this past weekend so my pace was pretty slow. But looking on the brighter side I made a dent in my desk makeover. I ended up painting 2 full coats which easily took about 1 1/2 hours per coat. There’s so much detail to paint and it definitely takes a long time if you want your brush strokes clean. I think I only need 1 more coat then I’m done! 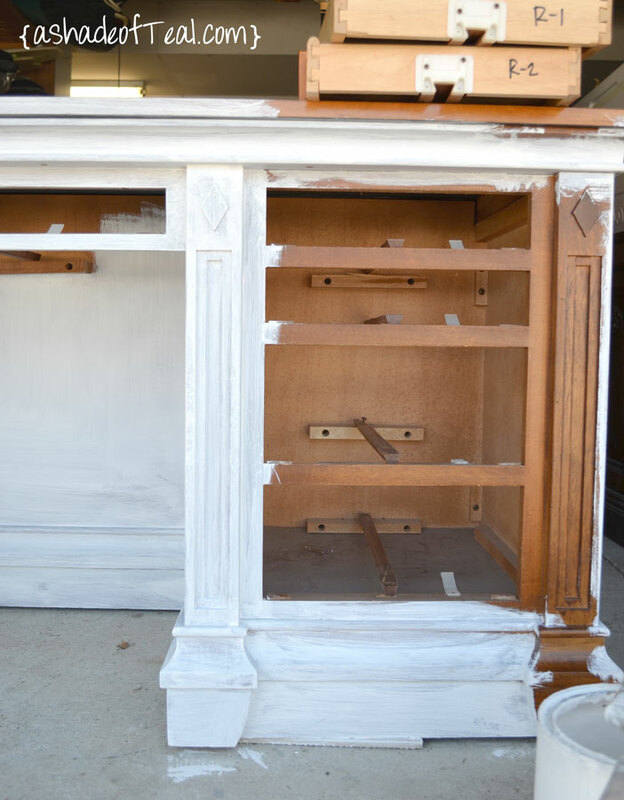 I really wish I would have used chalk paint on this project, thus eliminating all the extra coats. My husband and I also realized how are we going to get this thing in our house… Its so massive and heavy. So, next weeks big goal is to move it from the garage into the office. Then I’ll finish painting. I also figure it will need some touch up after the move. In other news; I hung some white curtains I purchased from Ikea, only to realize the curtain rod I had was too small. I decided rather than spending $35-40 on a new rod I would try to make one. I purchased my supplies and plan to assemble it tonight. I also started another art project. Here’s a little peak of what I’m making. I can already tell you my original plan didn’t work out so I had to go back to the drawling board. But I’ll share the full tutorial later. I also started my light project. This room is the only room in our downstairs without recessed lighting. So eliminating the option to install lighting I opted to try and make a hanging light pendant. 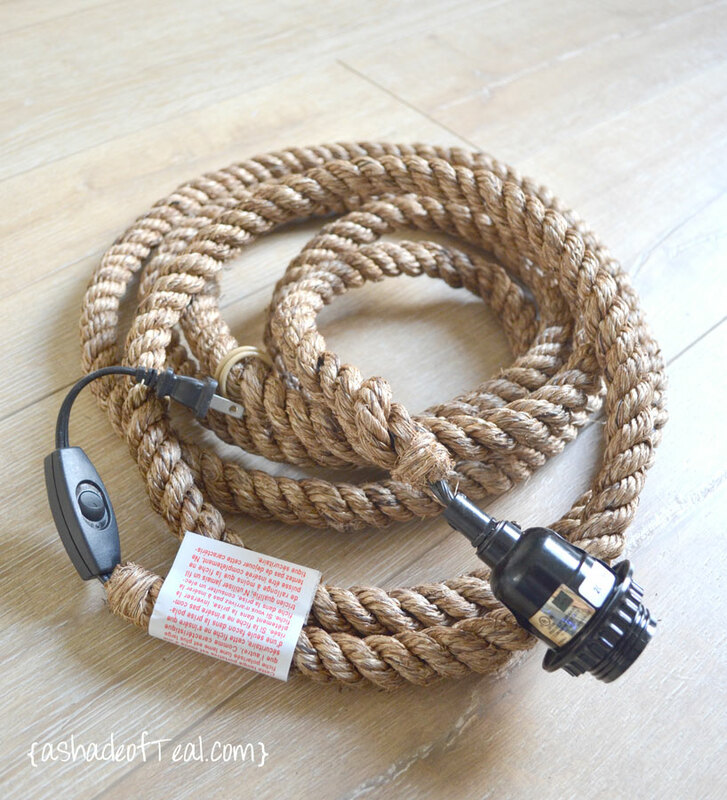 I plan to take this Geo Terrarium and turn it into a light fixture with this jute rope electrical cord kit. I also purchased a Edison style bulb from lowes, but when I tried it at home I felt like it was too yellow. 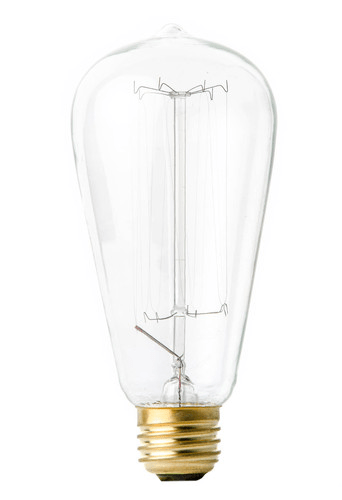 So I purchased this clear style Edison bulb from Color Cord Company. I should get it in a couple days then I can finish up the light. This has been my favorite project for this entire room, so I hope it turns out as I imagine it. This next week I really hope to move the desk in the office, hang some shelves, the light, and the new curtain rod; then my final week will be the little things. Will see if that happens! If you missed Week 3: check it out here. I actually have tried one before, it worked for the first couple of times then nothing. I ended up returning it. But if you know the name of yours let me know and I’ll give it a try. This was definitely a project where it would have been useful! I repaint a lot of furniture pieces… and I’ve found the Critter Paint Sprayer (on Amazon) to be so reliable and easy– its $50 and its a mason jar with an aerosol nozzle attachment that you hook up to an air compressor. 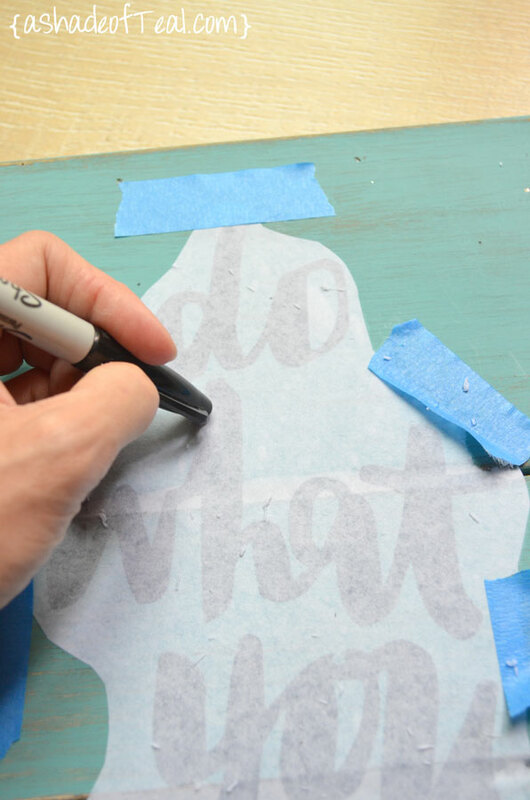 So simple, but the most effective one I’ve found, it saves me hours of tedious painting and no brush strokes! Just a thought if you’re into repainting lots of things, like me 🙂 Excited to see how this turns out! Thanks Lindsay! I’ll definitely check that out. The Paint gun I had before was a couple of hundred dollars, so $50 seems way better! I have used the Lenda, and I love those. So off topic, can you please tell me about that stunning floor. Are those tiles that look like wood, or real wood? I am dying to find a tile that looks like that. Hi Linda, my floor is actually a laminate hardwood. I purchased it at Floor & Decor, its called “Rustic Timber Whitewash” here’s the link. 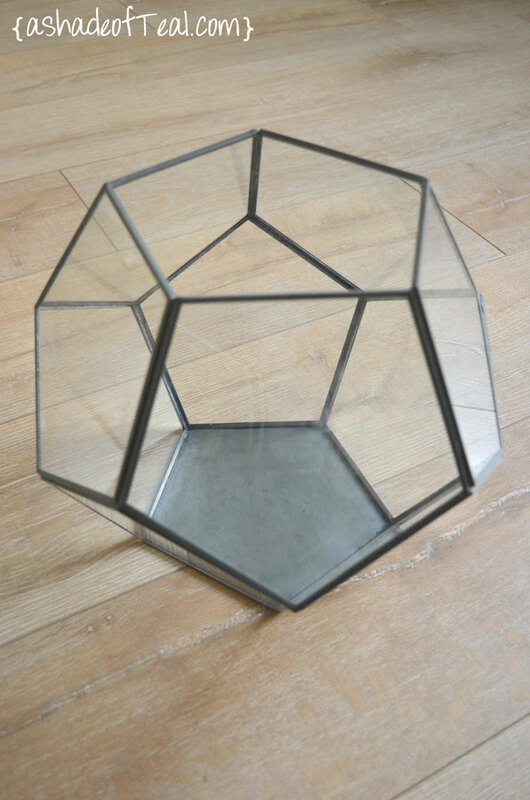 I’m also trying to find something similar in a tile for our master bath but I haven’t had any luck as well. Please let me know if you ever find anything. Looks like you have some great projects in work! I love your plans for the light fixture! I’m excited to see everything pulled together and the big reveal in a couple weeks! Thanks Anna! Make sure to check back this Thursday because it’s done! The light looks like it is going to be so wonderful. Can’t wait to see all of this come together! 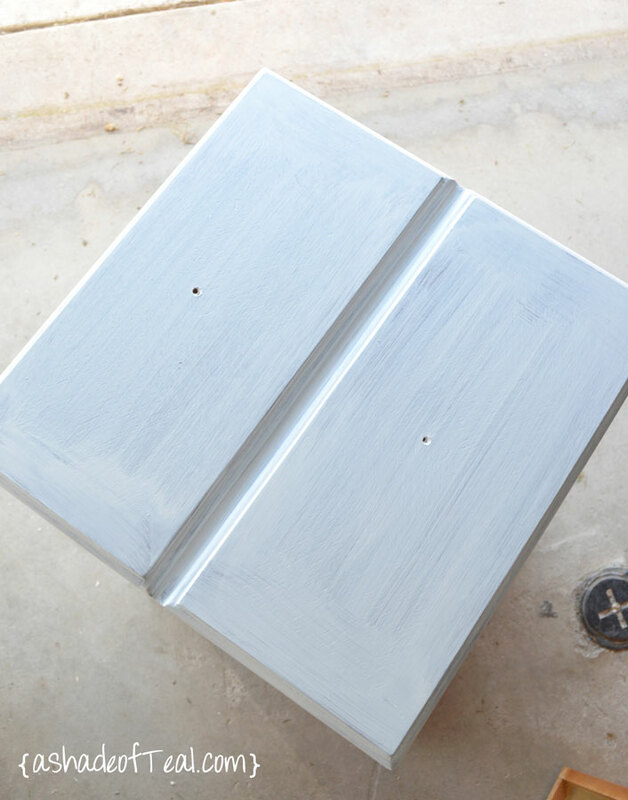 Would you recommend paint sprayer over chalk paint? 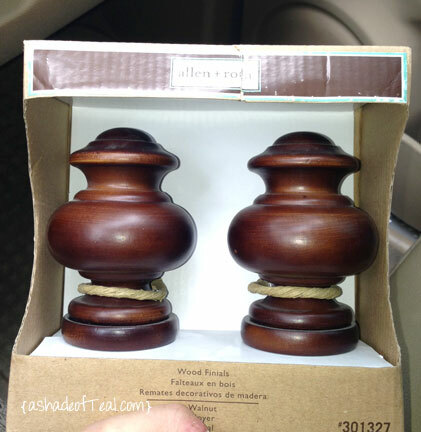 Can you put chalk paint in a sprayer? 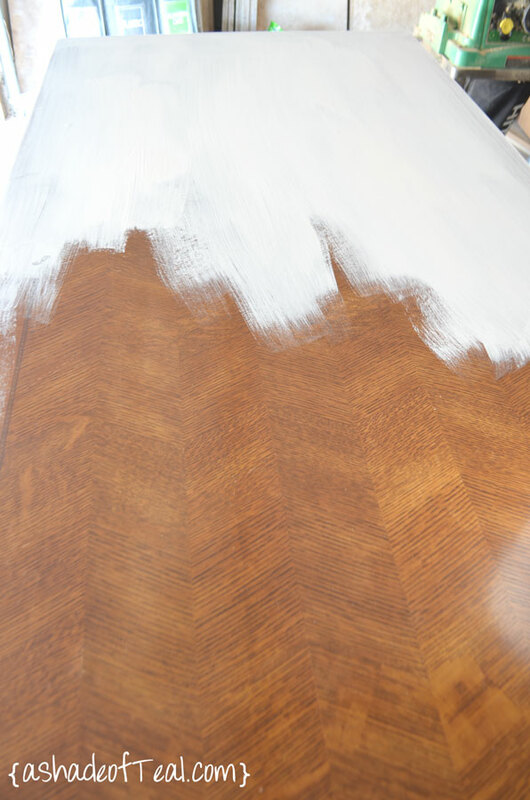 What kind of paint did you use and is it holding up well? I was able to find this exact desk after seeing your office reveal! I am so excited to repaint it! Hi Amanda! Either would work well, but I think chalk paint might be too thick for a sprayer. I used chalk paint on this desk and it’s holding up great.